Zahid added that despite India revoking Zakir's passport, Malaysia would not revoke his permanent residency status here, as he had not violated any local laws. In what comes as good news for Indian investigators, Malaysian deputy Prime Minister Ahmad Zahid Hamidi said on Wednesday that controversial Islamic preacher Zakir Naik will be sent back to India if a formal extradition request is sent to Malaysia under mutual legal assistance treaty by the Indian government. Hamidi, while answering to an MP’s question on Naik, informed the lower house in Malaysia, that it was yet to receive any formal extradition request from New Delhi. "If India requests that he be extradited via Mutual Legal Assistance, we will send him. To date, there has been no such request," said Zahid. "I have not received any details. I just read what was reported in the media as to why his passport was cancelled. That, we respect the laws of a foreign government, but we as a legitimate government here, we follow the laws provided here," he said. "As long as he does not violate the laws, and did not do any wrong, what more like Ipoh Barat (MP, M. Kulasegaran) had said, that he had encouraged terrorism, that he had encouraged things which involve the degrading and criticising of other faith. We never received reports on that," Zahid said, in response to DAP's Batu Gajah MP, V.Sivakumar. Hamidi further claimed that PR status was granted to Naik by Malaysian government long before his passport was cancelled by Indian government. Interestingly, Malaysian media quoted Zahid as saying, allegations against Zakir Naik are made "out of context". "My officers had gone through each and every one of his talks, be it in Malaysia, or overseas, as well the Peace TV programmes which he airs. To date, there is no (terror) elements as claimed," Hamidi said. Last week, MEA spokesperson Raveesh Kumar had said that India will soon make a formal request to Malaysia for Zakir’s extradition. He had also revealed that the legal internal process for Naik’s extradition request is in final stages. “India will soon make a formal request to Malaysia for Zakir Naik's extradition. Maybe in the next couple of weeks, it will be clear what will be the nature of the request,” he said. 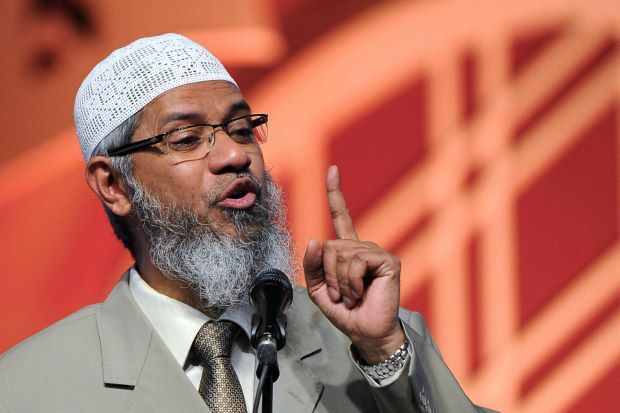 Naik, who has been banned in the UK, has been given permanent residency in Malaysia. In July, the absconding televangelist – who enjoys a NRI status, was declared a 'proclaimed offender' by a special court. Soon after this, the NIA had initiated the process to attach his assets. On November 18 last year, the NIA had lodged a criminal case against him, invoking various sections of the IPC and Unlawful Activities (Prevention) Act. Naik had left the country early in 2016.